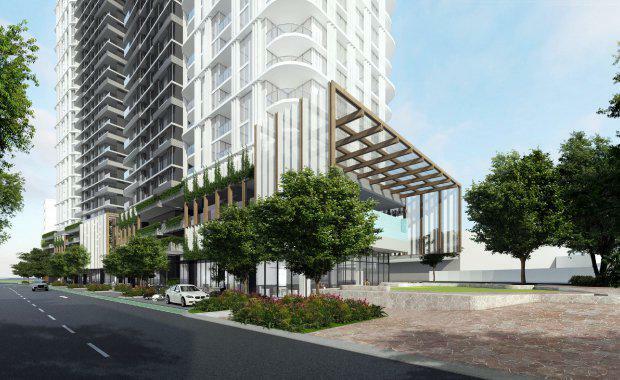 Brisbane-based development company, Land & Homes Group, have secured planning approval for their first development – a $330 million mixed-use development on the fringe of Brisbane’s CBD. Following the acquisition of the site in May last year, Land & Homes Group have worked with Rothelowman Architects to design two towers rising to 26 and 37 storeys, offering 492 one, two and three bedroom apartments. “Despite the amount of development which has gone on in Brisbane’s inner city in recent years there is an absence of really good quality, spacious apartments for long term owner-occupiers,” Land & Homes group executive director Grant Archibald said. The apartment layouts have been designed to allow for a variety of tenants with the upper levels of both buildings featuring larger apartments. The buildings were designed with staggered heights to take advantage of city views. Located at the nexus of the CBD, Fortitude Valley and Spring Hill, the mixed-use development aims to make the most of its frontage onto Barry Pde and School St through the addition of a retail precinct -- the planning submission proposed 30 per cent public plazas across the site. The towers will be located close to Gurner’s $600m dual-tower FV development on Alfred Street. Last week, the Melbourne-based developer settled around $200 million worth of apartments in FV. The development has been designed to optimise solar performance with large balconies and rooftop communal areas to encourage residents outdoors. These features were designed in line with Brisbane City Council’s “Buildings that Breathe” requirements. Landscape designers Lat27 have been engaged to provide subtropical planting for the development. 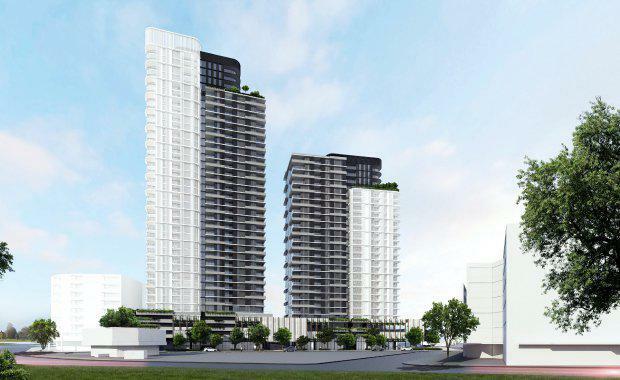 Land & Homes Group’s founders, Lian Huat Group, have delivered several Sydney developments, including the 174 unit Hyde Park Towers and the 10,000 square metre Harbour Garden Complex. Lian Huat has also delivered various projects in Singapore and China.